The Parliament of Canada has passed a motion that requests Netflix remove all footage of a real-life 2013 rail disaster from Bird Box. The streaming platform came under fire for using the footage, which it purchased from stock image vendor Pond 5, in January and announced that they would not be removing it from the blockbuster movie. Netflix claims they, "understand that many feel frustration and sadness at seeing images of this tragic event," but says that they cannot make changes to finalized content once it's up. The disaster occurred in Lac-Megantic, Quebec, where a train carrying oil derailed and exploded, which resulted in the death of 47 people. Footage from the incident was used at the beginning of Bird Box to show the world spiraling out of control. Now, the Canadian government is asking the streaming platform to compensate victims. Legislator Pierre Nantel had this to say. "We know people are going to go and watch this film, and again these real images will be used. For people in Lac-Megantic, they saw images of their own downtown burning, and could imagine their own family members in it." The footage from the 2013 Lac-Mégantic rail tragedy was also used in the Netflix original series Travelers. Peacock Alley Entertainment president Carrie Mudd says that she is trying to work out a way to take out the footage. It's unclear if she will be able to due to Netflix's claims about altering finalized material. It's pretty common for incidents like this to happen when the footage in question is purchased from a stock supplier. Lac-Megantic mayor Julie Morin slammed Netflix and the producers of Birdbox for using the rail disaster footage. Pond 5 came forward and apologized for selling the footage to Netflix and will more than likely cease from selling it further. After the incident became public, the streaming platform has announced that they are looking for ways to ensure a situation like this does not occur in the future. Morin says that she will be working with the people. She explains. Bird Box has been a huge hit for Netflix and briefly became an internet sensation when people were taking the "Bird Box" challenge. 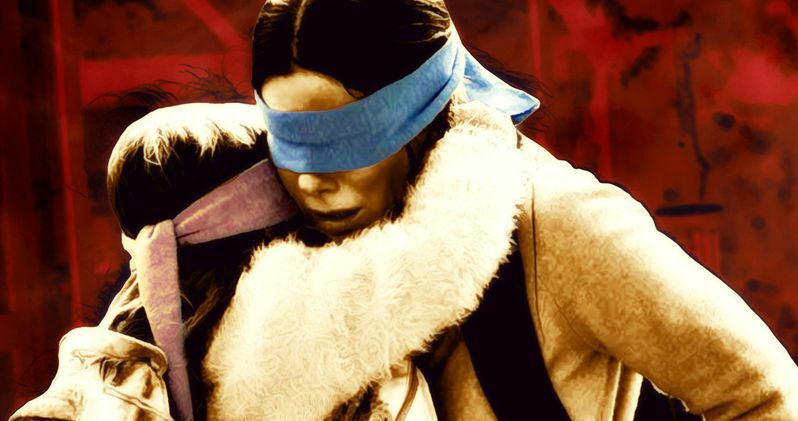 Viewers of the movie were attempting to pull off every day activities with a blindfold on, just like Sandra Bullock and the rest of the cast do in the movie. Netflix has yet to respond to the Canadian government as of this writing. It will be interesting to see if their response changes from the last time. This story was first reported by the AP News.